It’s cold. It’s wet. You have a limited budget, limited crew and limited equipment. How do you stretch those dollars, expedite pothole repairs in concrete road surfaces, and maintain morale among the men in the field? Here’s a serious surprise: EZ Street cold asphalt. Fenton, Missouri is a small municipality in the St. Louis suburbs. With a population of around 4,000, Fenton is like so many other small towns: working with a limited budget, they have to watch every penny—including public works. That’s one reason EZ Street cold asphalt has become such a boon to this community. Much of the road surface in Fenton is concrete. And if you know anything about concrete pavement, you know this: stress it too far, and it crumbles. It becomes a pile of rocks. And repairing concrete can be a challenge. 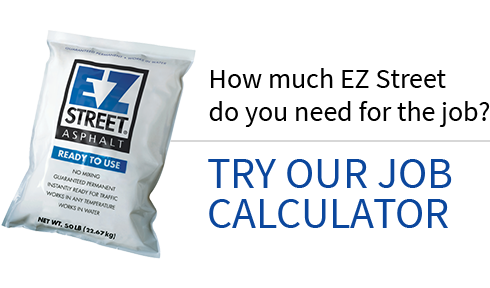 Fortunately, EZ Street asphalt, with its proprietary polymer blend, is formulated by Fred Weber, Inc. specifically for the Missouri climate. This unique, premium product is an excellent material for filling potholes in concrete road surfaces. While it bonds to concrete, it remains flexible enough to become a durable, permanent repair. In the case of the Fenton Department of Public Works, they’d been using hot mix for repairs like this. And we all know the challenges of hot mix: scheduling, timing, weather, road closures, waste—hot mix becomes a challenging and often expensive proposition. But EZ Street cold asphalt is the antidote to hot mix headaches. Fenton DPW goes to Fred Weber and obtains a bulk load of EZ Street asphalt, which they can stockpile for up to one year. That means Fenton’s EZ Street product is ready to work when road-repair emergencies call. 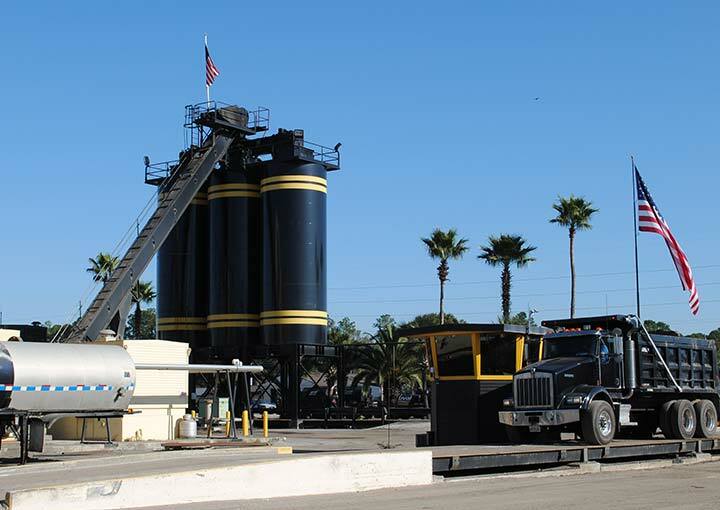 EZ Street asphalt can also be used in water. No need to dry out the pothole. Want to make a repair in the rain or snow? No problem. Just sweep out loose debris, throw the asphalt into the hole, and compact it. A job that would require advance planning and a load of hot mix can now be done in a matter of minutes at the drop of a hard hat. Even if it’s raining, and the crew is faced with a major road-repair emergency, it’s a simple fix: throw some EZ Street asphalt onto the truck, drive to the location, and do the EZ Street asphalt one-two-three: sweep, fill, compact. Done. It happens quickly, can be accomplished with a limited crew, avoids big-production road closures, and gets everyone off the street and in out of the cold that much more quickly. EZ Street asphalt: showing potholes who’s boss.